TRNC President Dr. Derviş Eroğlu gave a speech in the seminar themed “Mobbing” organized by Cyprus Turkish Public Servants’ Union (KAMU-SEN) and touched on public reform and the Cyprus problem. 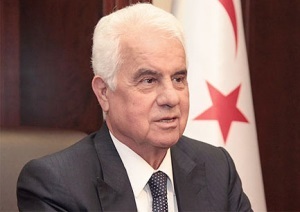 Eroğlu stated that the desire and expectation of the Turkish Cypriot people is that 2013 shall be a year of peace and at least the year in which the foundations of peace shall be laid. o do our part for an agreement based upon the realities in Cyprus. We forwarded Mr. Anastasiades our demand for a meeting. As you know, there is a serious economic problem in South Cyprus. It was stated that there would be delays for a meeting because of this problem. We hope it does not take a long time. At the end of his speech, Eroğlu wished that the seminar had created fruitful results. in Ankara titled as ‘Future Planning in North Cyprus 2013’. 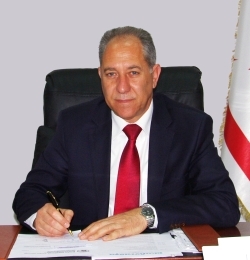 The workshop will be on 13 April 2013 Saturday and TRNC National Education, Youth and Sports Minister, Mutlu Atasayan‏, will also participate. It was stated that the aim of the workshop is to develop the relations between Turkey and the Turkish Republic of Northern Cyprus in social, cultural and economic issues. It was also mentioned that the TRNC is a distinguished member of the Turkish World and the workshop first organized in 2011 and this is the third workshop. The promotion campaign started by the TRNC in the UK gave discomfort to Greek Cypriots who are now suffering from the economic crisis. It was stated that the limitation of the Greek Cypriot Central Bank in Banking operations and the decision of the Euro Group impacted the tourism sector in South Cyprus.